ZEELAND -- These days, Zeeland is known for producing office furniture, clocks and rearview mirrors for the automotive industry. But in the city's early days, the two most prominent businesses produced bricks and chicks. The Veneklasen Brick Company, which was established in 1849 and employed hundreds of workers during its more than 75 years of business. The chicken hatchery industry, which had its heyday in Zeeland from the 1920s to 1950s, boasted as many as 60 Zeeland-area companies. State historical markers honoring the two industries will be unveiled Thursday during a Chicks and Bricks ceremony. Veneklasen Brick Company marker will be near the footbridge at Paw Paw Drive and 104th Avenue, where the company produced millions of bricks annually. The hatchery industry marker will be at Vande Luyster Square, just south of downtown Zeeland. Elaine Van Zoeren, 88 and a direct descendant of the Veneklasen Brick Company's founders, is scheduled to unveil that company's marker. Van Zoerens Chicago Drive home reflects the company -- it was built by her grandfather, Henry Veneklasen, in 1873. "The house was made of red brick, and the garage was made of yellow brick," Van Zoeren said. Founded by John H. Veneklasen and his son, Berend, the Veneklasen Brick Company once had plants in several West Michigan cities, including Grand Rapids, Kalamazoo and Muskegon. 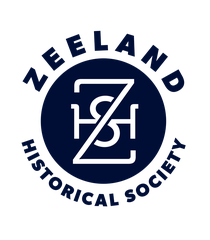 The company was run by the Veneklasen family throughout its entire existence, said Kit Karsten, president of the Zeeland Historical Society. "Some ran the yard, some ran the brickmaking operations, some were salesmen," he said. The company's businesses grew significantly in 1871, as Chicago and several West Michigan cities rebuilt after fires destroyed large portions of those communities. Today, Veneklasen brickwork can be seen on more than 100 homes and several businesses in the Holland-Zeeland area. Van Vleck Hall and the president's residence at Hope College in Holland were built with Veneklasen brick, Karsten said. Karsten's knowledge about the chicken hatchery industry has a bit more personal connection. He remembers the stories his father, Henry, told of chicken hatchery farmers who would visit his restaurant as they awaited orders for their chicks from the Zeeland post office. Two special trains would come in weekly to pick up chicks (from the Zeeland hatcheries) and deliver them throughout the Midwest, said Karsten. At one point, more than 60 hatcheries were in business, producing up to 13 million chicks a year and providing employment for up to 3,000 workers in the area. "When you think about it, its a lot of jobs for a small town like Zeeland," Karsten said. Today, there are still two major chicken hatchery businesses in the area - Janssen Farms and Townline Hatchery, the latter founded by the Geerlings family - which produce about 6 million chicks a year, Karsten said. WHERE: The Veneklasen brick marker will be unveiled near the footbridge over the Macatawa River at 104th Avenue and Paw Paw Drive; the chicken hatchery marker will be unveiled at Vande Luyster Square, at the corner of Church Street and Central Avenue.